The ever-more common task of scraping heaps of snow off your car, driving slower due to the uncleared, un-gritted roads, and even facing the risk of skidding on black ice as you turn a corner, may cause you to stop and think - would winter tyres make this easier? Winter tyres - now commonly known as cold Weather tyres - have a different compound, and a sharper and deeper tread pattern to your everyday tyre - giving them an extra overall grip. The compound they are made with contains silica, which helps the tyre remain flexible when the temperature drops below 7°C. Therefore, these tyres are specifically designed to be able to cope in difficult and hazardous conditions, such as snow and ice, with their main benefits including; improved handling and braking efficiency - with dramatically reduced stopping distances. 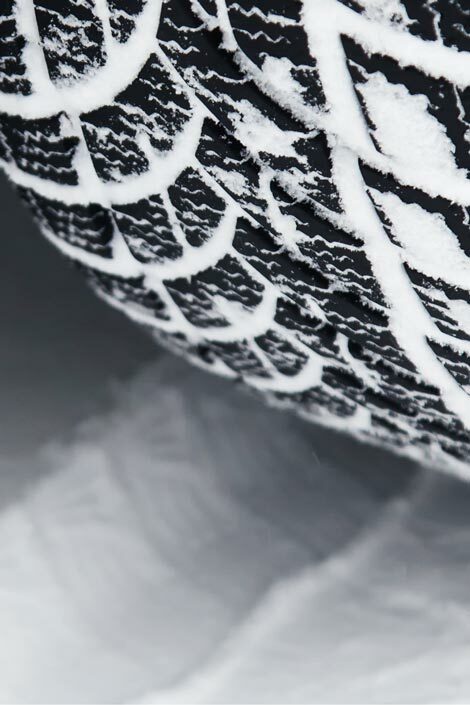 Although, don't be fooled, winter tyres are not only designed for snow and ice, but are designed to perform better in cold weather circumstances, for example; rain, ground frost, slush, and mud.